Painting the interior or exterior of your property can make it fresh and new looking again. Your best bet is to hire a local The Fan painting contractor who has experience in the industry. Are you ready to restore the beauty of your home or make your commercial property really stand out with an attractive finish? RVA City Painters wants to help you achieve these goals. If you have a historic home or business, we are very familiar with local requirements and how to handle your more delicate building materials. For the best painting contractors in The Fan, come to RVA City Painters! Painting your interior freshens it with vibrant new color whether it's a simple color scheme or something bold. It's a great way to bring about a new design. If you are tired of your dull and boring paint scheme, it's time to make a change. We know all about paint and how to properly apply it to all types of surfaces. We do the proper preparations to the surface so the results last. Call today for a great quote. Need An Exterior Painting Contractor In The Fan? Many homes in The Fan district have ornate decorative woodwork on the exterior. Painting this millwork can take a very long time for an inexperienced painter. Sometimes there may be a little light carpentry work involved too. This is not the type of work you want done by an inexperienced contractor. 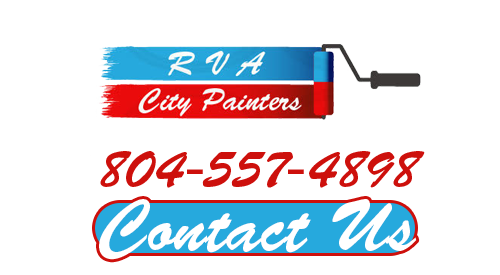 Choose RVA City Painters for exceptional exterior painting in The Fan. We can take care of light repairs and will prepare the surfaces before applying your new paint.